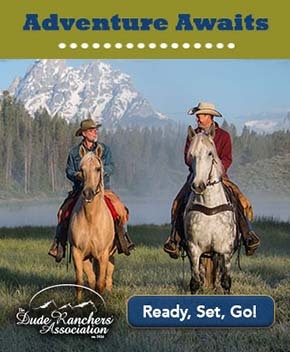 A Quarter horse you ride today may trace his lineage to a famous 1843 stallion. The stories of cowboy life on the Chisholm Trail are often recounted; even John Wayne shared a slice of Chisholm cowboyin’ in 1948’s Red River. But what about the horses who survived the up-to-two-month arduous trip leading thousands of longhorn cattle through canyons, rivers and open ranges from Texas to Kansas railheads? Who were they? Fearless, fast, noble and smart with cow sense are some words that might make it into the job description; steeldust might be another. 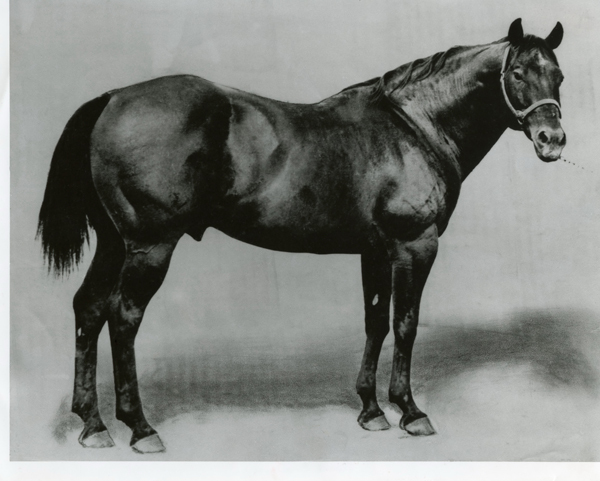 Foaled by a Kentucky thoroughbred mare in 1843, Steel Dust was brought to Texas by Middleton Perry and Jones Greene. This roughly 16-hands-high champion quarter-mile match racer was so fast that his jockey reportedly coated the stallion’s back with molasses in order to stay on. Yellow Jacket was foaled about 1907 or 08. He was by a horse called Little Rondo, and traced to Steel Dust. Steel Dust was described as a muscular blood bay with small ears and a large jaw, which, to many, symbolized his tenacity and determination. Richard Chamberlain, senior racing writer for the American Quarter Horse Journal, tells me what made this horse special was he wasn’t just a racer. 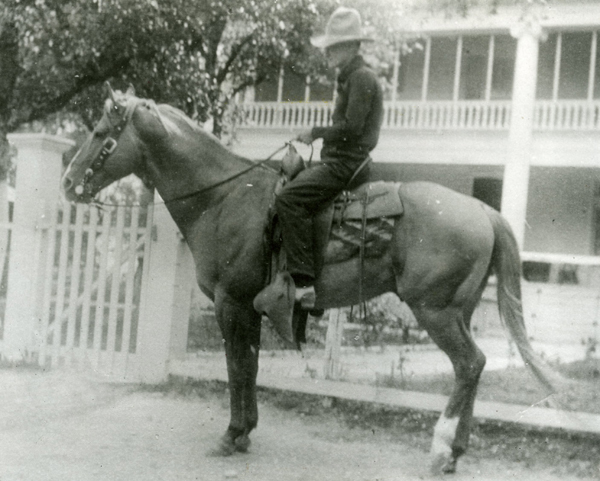 He had intelligence and a down-to-earth sense that’s not always found in racehorses, and these traits—speed, intelligence and endurance—were passed down to his progeny, making them tractable saddle horses. After the horse suffered an injury in 1855, Steel Dust’s owners offered him up for stud. Ranchers, who needed quick horses to work cattle and to earn them extra money in match races, where they could win or lose anything from a drink to a whole plantation, sought out Steel Dust as a sire. Good “Steeldusts,” as these fast cow horses began to be called, were worth their weight in gold for cowboys. 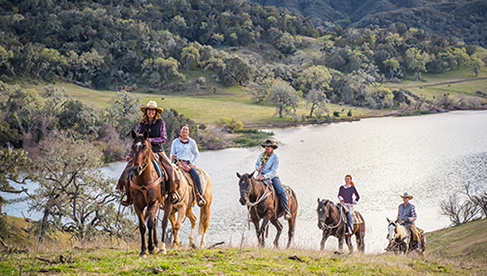 For those embarking on the challenging Chisholm Trail, they needed several horses for the long haul. These horses had to be easy keepers who could last on prairie grass and endure a lot of time with someone on their backs. During 1867-71, when the Chisholm Trail ended in Abilene, Kansas, the cowboys sold most of their horses, keeping only a few of their best ones to ride back to Texas. Some even participated in match races while in Abilene, using their Steeldusts to hopefully win. More and more folks sought out horses with Steel Dust’s pedigree. The famous King Ranch was among the first breeders; in 1916, it began using breeding lines from Steel Dust, and those horses started winning awards at the State Fair of Texas. 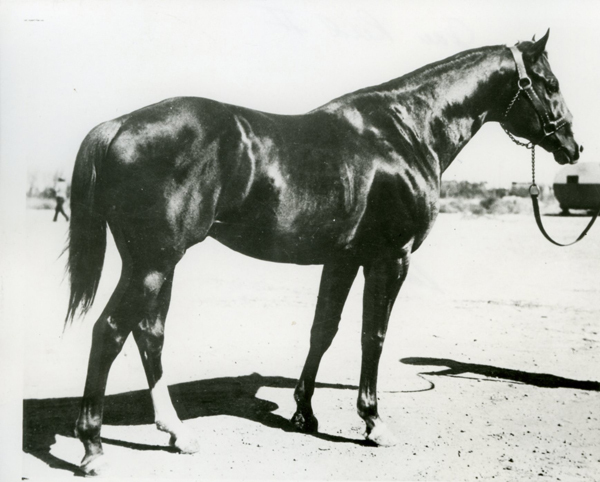 King was foaled around 1932 and he was considered an ideal Quarter horse. Many horses have been modeled on King P-234. He was the 234th horse registered by AQHA. With such a large following, Steel Dust became one of the foundation sires of the modern-day American Quarter Horse, a breed that is still popular for cattle work. You can pay tribute to Steel Dust at the state historical marker in Dallas, southeast of his Lancaster farm tract, where Steel Dust is said to be buried near Ten Mile Creek. He died some time after 1864. The next time you ride a Quarter Horse, ask if your mount has any Steel Dust in him. If he does, his owner will be proud to tell you so.